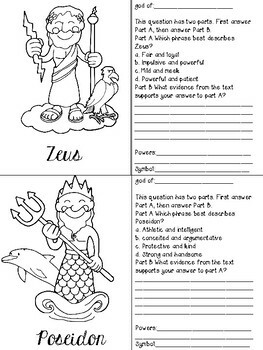 I created this scavenger hunt book to help my students review/gain background knowledge on Greek gods and goddess prior to our Percy Jackson novel study. 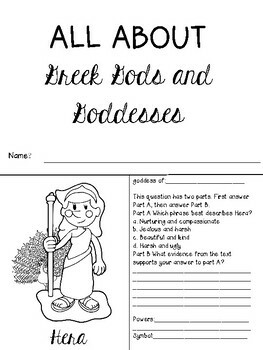 In order to give them practice answering multiple choice questions, each page has a question regarding that particular god or goddess's character trait. 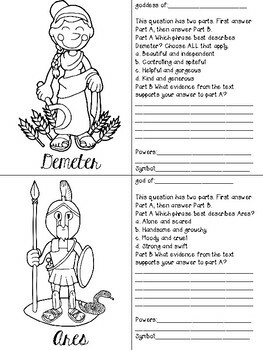 These are written as Part A/Part B questions, which are commonly found on FSA and PARCC assessments. 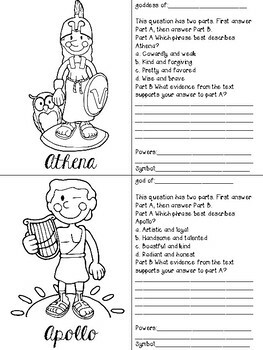 I curated a collection of Greek Mythology books on GetEpic for my students to use, but this file could be used with any Greek Mythology text.